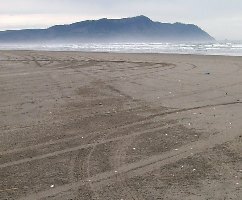 (Oregon Coast) – This coming week is jam-packed full of interesting and slightly unusual fun on the coast. There’s an old ship from the “Pirates of the Caribbean” movie coming to Newport, new adventures in wine tasting, a wild and eccentric kite festival in Lincoln City, and some other fun both esoteric and outdoorsy in nature. The fall season of classical music from the Neskowin Chamber Music begins on Sunday, October 15, with Turtle Island bringing its heady mix of classical chamber, bluegrass and rock to the Camp Winema venue, off Winema Road, some three miles south of Pacific City. 503-392-3189. And that’s just the beginning of the fun. 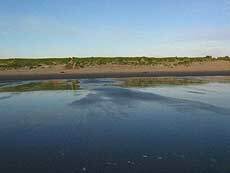 Sunset Beach Park and Beaches (near Gearhart). Access to this popular area is about a half mile west of the highway, lying about a half mile south of MP 13. 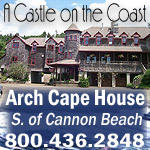 Look for signs to Sunset Beach and the Astoria Golf and Country Club. There’s also a freshwater lake here which is known for its swimming possibilities. 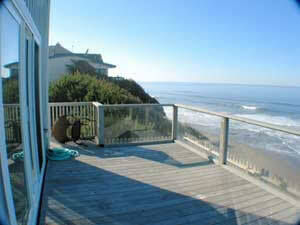 Just like the park, access to this popular beach is about one mile west of the highway along the same road. Vehicles are legal on the beach here as well. As you drive along Highway 101 in this area between Seaside and Warrenton, be on the lookout for small roadside stands selling the wares of local farmers. Everything from flowers, eggs, honey and produce seems to pop up now and then. Nearby is Cullaby Lake, which comes complete with picnic tables, boat ramps, a swimming area, stoves and other amenities. Access to the popular lake and a nearby park is via an eastward access, just a tiny bit north of the Del Rey Beach access. 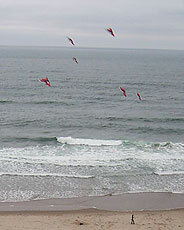 Lincoln City Fall Kite Festival, Oct. 14 & 15. This coming Saturday is the start of hordes of kites and other objects d’air floating about and creating a visual raucous. You’ll find kite buggies, kite surfers, a race of an unusual sort involving doughnut-shaped kites, and a group called iQuad – an international team of flyers who use quad line kites as the mechanism for madness in the air. Then there’s the Mass Ascension, which the public can participate in. Bring your own kite and see how may of them the town can get airborne at once. Launch yours and you might get a unique kite feather made by Deb Cooley. Everyone who signs up and flies in the mass ascension will be entered into a drawing for a glass float. Still, the standby here is the fantastical sights created by some of these truly unusual kites, with some wild and unforgettable designs. 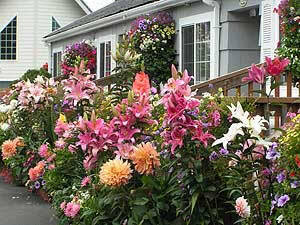 It happens at the D River Wayside in Lincoln City, in the middle of town. 800-452-2151. 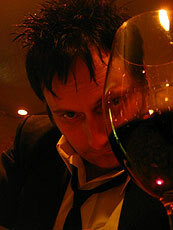 Weekly Wine Tasting at Blu Cork Wine Bar, Newport. Each Friday now, Blu Cork will feature a different winery from 6 p.m. – 8 p.m., with free samples of wine and a chance to learn much from the wine rep from that winemaker. This week’s winery is Trinity, happening on Friday, October 13. SW Third St., Newport. 541-265-2257. Tradewinds Motel, Rockaway Beach. If you don’t like expansive ocean views, close proximity to golfing, fishing tours and quick access to seven miles of pristine beaches, the perhaps stay away. Then the good things in life aren’t for you. Otherwise, this quintessential beauty in Rockaway Beach is your ticket to vacation fun for families, couples or large groups. They have some intriguing ways of connecting up their rooms to create larger facilities, perfect for weddings, reunions or just gathering for good times. 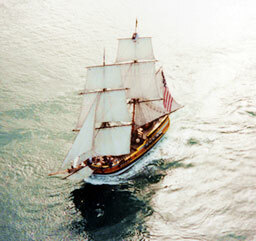 Tall Ships Visit Newport, October 12 – 15. One stately spectacle is sure to be this visit by some famous faces in the maritime world of old. The Lady Washington will be on hand – the ship featured in the latest “Pirates of the Caribbean” flick, along with the Hawaiian Chieftain, all hanging out at Port Dock 3. The public can tour these ancient beauties, get some hands-on training and demos on deckhand duties, and there’s a mock battle between the two vessels that’s sure to get the blood stirring. Tickets for the battle cruises are $50 adults, $30 kids. 800-200-5239. 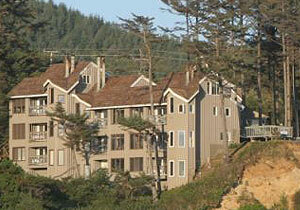 Talk on Oregon Coast Paranormal Stories, Seaside and Newport. It’s called “Oregon Coast Ghosts and the Paranormal,” an interactive talk about coastal legends and weird tales held on two different ends of the coast, and given by BeachConnection.net editor Andre’ Hagestedt. The presentation will include spooky stories about lighthouses, the legends that are simply laughable, and a host of tales that defy category, covering ghosts, poltergeists, UFO’s, spiritual spots, conspiracy theories, sea monsters and myths that were debunked, as well as unusual historical tidbits and weird science that relate to the subject.